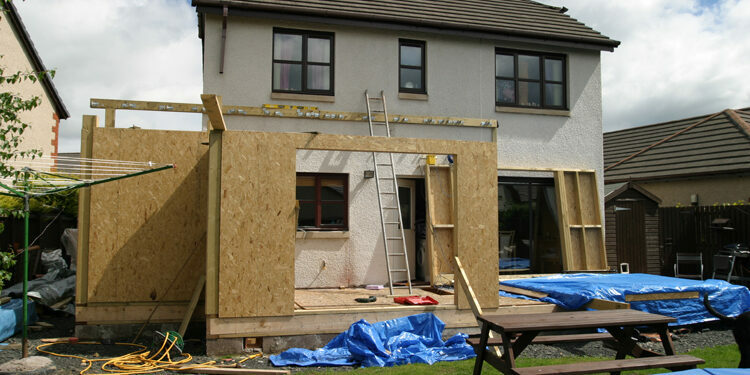 So you’ve decided it’s finally time to start building that home addition – great! Because there are so many different types of additions, they are a perfect way to customize your home and add the space you need. Deciding to build is the first step, but this is where a lot of homeowners hesitate. You want an addition, but you’ve heard the horror stories: contractors who begin work, ignore the project timeline and budget, and leave the project half-finished. You want a beautiful, functional new space in your home – not a headache that will cost a fortune and never be completed! So how can you avoid home addition delays and disruptions? Hire the right contractor. Who is the right contractor? There are a lot of things to think about when hiring a general contractor for your project. Do they have experience with the type of work you’re looking to have done? For example, if you’re building an addition, you shouldn’t hire a roofing contractor. Are they trustworthy? Research the contractors: look for reviews online and ask them if they are willing to give you references. Are they qualified? Does the work you’re doing require a licensed professional? Doing your research in the beginning will help you to find a qualified professional – not an amatuer. Plan (and plan and plan… and plan). Most addition disruptions and delays simply come from poor planning. Make sure before you begin any addition project that your contractor completely understands what you are looking for and has detailed all of it in your contract so that there’s no confusion. But remember, planning involves both the contractor and you. If you have new ideas halfway through the project, there will be a delay, so be an active part of the planning process to make sure you ask for exactly what you want early on. Get relevant permits. Your contractor breaks down your wall… and then someone from the city shows up. If you and your contractor haven’t paid attention to your area’s building codes and gotten the necessary permits, your project will be halted. But this is an easily avoidable delay! Your contractor should have an understanding of building codes (if they don’t, go back to square one and pick a new contractor!). Once they have a full understanding of your project, your contractor should know what permits are necessary and should help you get them. No contractor should begin work without the proper permits. Make the project timeline clear. Once you and your contractor have a plan, they should have an idea of when the job can be completed. Your contractor should be able to lay out a general timeline of when each piece of the addition will be completed. Understand that this won’t be an exact timeline – some delays just can’t be avoided. Unexpected weather (like spring snowstorms! ), a backup at the permit office, or waiting on shipments of the right material for the job can and will slow things down even if you’ve planned perfectly. However, having a general idea of the timeline will hold your contractor accountable so your project doesn’t end up taking several years! A home addition can help to make your home exactly what you’ve dreamed of, but it’s no small commitment. While you can’t plan for everything, planning ahead can help you avoid foreseeable delays and disruptions so you can enjoy your project on time (and on budget). The best thing you can do is work with a trustworthy general contracting company. When you work with someone who has experience with projects like yours, you can feel confident. Mason Sky has experience building additions (on time and on budget) and we would love to help you create the addition of your dreams. If you’re ready to take the next step toward building your addition, request your free consultation today.